Research at the Institute of Biochemistry and Molecular Medicine (IBMM) focuses on the structure (Fotiadis), function (Abriel, Albrecht, Bütikofer, Charles, Fotiadis, Gertsch, Li, Peinelt) and pharmacology (Abriel, Gertsch) of membrane proteins such as transporters, ion channels, and membrane receptors. A strong emphasis is put on the roles of these membrane proteins in human disease. We combine chemical synthesis (Lochner), chemical biology/analytics (Gertsch) with electrophysiology (Abriel, Li, Peinelt) and structural biology (Fotiadis). Both human ex vivo (Albrecht) and genetically-modified mouse models ( Abriel, Charles, Gertsch) serve to study these transporters in different diseases like cancer (Charles, Peinelt), cardiac disorders (Abriel, Li), preeclampsia (Albrecht) and neuropsychiatric disorders (Gertsch). The IBMM directorate is composed of Dimitrios Fotiadis (Managing Director and Co-Director Finances), Jürg Gertsch (Deputy Managing Director and Co-Director Infrastructure and Research), Christine Peinelt (Co-Director Teaching) and Hugues Abriel (Co-Director Safety, Quality, and Equal Opportunities). To apply excellence in membrane transporter research to the treatment of human diseases, the National Center of Competence in Research, NCCR TransCure, was established in 2010 and is currently led by Hugues Abriel and Jean-Louis Reymond. The IBMM is hosting most of the NCCR TransCure research groups from the University of Bern, which is the Leading House. For details see www.nccr-transcure.ch. The specific focus areas of the individual research groups of the IBMM is shown in the section "Research"
In December 2018, the BaseLaunch accelerator program for healthcare startups has selected four projects among over 100 applications received from Switzerland and Europe to receive non-dilutive funding in a competitive two-phase selection process. 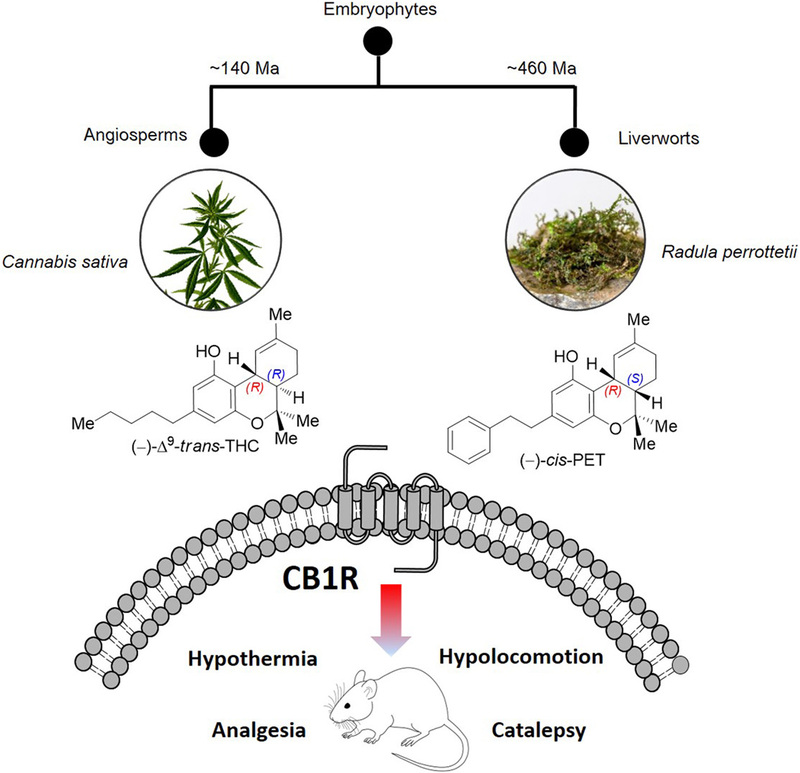 Among them, was the project by Andrea Chicca and Jürg Gertsch from the IBMM on the development of selective endocannabinoid reuptake inhibitors (SERIs) for neuropsychiatric disorders. The project was initiated by the NCCR TransCure research project “cellular endocannabinoid transport.” Over the last years, they and their collaborators have successfully identified a new drug target and generated solid IP protection on first and second generation SERIs and their medical uses. Their startup Synendos Therapeutics now aims to bring the lead SERI into a phase I clinical trial and the spin-off company will be incorporated at the Swiss Innovation Park in Allschwil in Basel. BaseLaunch is managed and operated by BaselArea.swiss and provides non-dilutive funding, access to Healthcare Partners and knowledge from highly experienced advisors. BaseLaunch is supported by Johnson & Johnson Innovation, Novartis Venture Fund, Pfizer, Roche and Roivant Sciences as well as by other public and private partners. Synendos has recently also won the Venture Kick Stage I. The Swiss National Science Foundation (SNSF) has granted a Sinergia Project to Dimitrios Fotiadis (University of Bern, Medical Faculty) together with the laboratories of Philippe Plattet (University of Bern, Vetsuisse Faculty) and Rainer Riedl (Zürcher Hochschule für Angewandte Wissenschaften - ZHAW) entitled “Morbillivirus cell entry machinery: mechanisms, structures and drug discovery”. The research team in Switzerland, led by Professor Jurg Gertsch, have been exploring the medical uses of "perrottetinene" found in the rare liverwort, which only grows in Japan, New Zealand and Costa Rica. 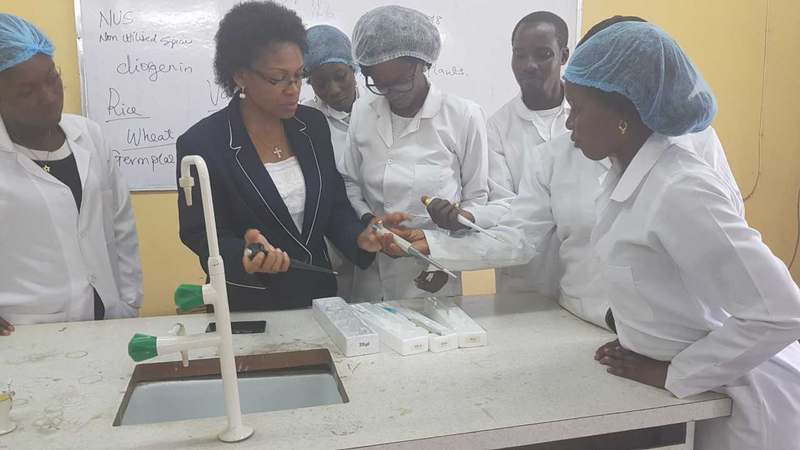 Research equipment is expensive and often unaffordable by teaching labs in African countries. The IBMM has shipped more than 100 functional Gilson-type research pipettes to Nigeria. The NCCR TransCure thankfully acknowledges the retiring Professors Matthias Hediger, Wilhelm Hofstetter and Bruno Stieger for their work. For this event, the three honoured professors and their guests will give talks on their latest research. Join us on Wednesday, October 24th, 2018. Registration at admin@transcure.unibe.ch by October 8th, 2018. Proteins called GABAA receptors have a pivotal role in neuronal inhibition, and are targets of several drugs. Structures of the most abundant GABAA receptor in humans are now reported. Erwin Sigel has worked for decades on questions related to structure-function of GABAA receptors and functionally elucidated the benzodiazepine binding site. Read Erwin Sigels commentary in News and Views in Nature. We are pleased to announce that for the two-year term of April 2018 until March 2020 Dimitrios Fotiadis will serve as Managing Director and Jürg Gertsch as Deputy Managing Director of the IBMM. Christine Peinelt has been elected as Co-Director Teaching and Hugues Abriel will serve as Co-Director in charge of Safety, Quality and Equal Opportunities. Congratulations and all the best for the new and important tasks! Erwin Sigel hat in seiner langen Forschungskarriere hauptsächlich an GABAA Rezeptoren gearbeitet und sich insbesondere für die Funktion von allosterischen Modulatoren interessiert. So war er bei der Aufklärung der molekularen Mechanismen von Benzodiazepinen beteiligt. Erwin Sigel hat durch seine Lehr- und Forschungstätigkeit an der Universität Bern mehrere Generationen von Nachwuchsforschern nachhaltig beeinflusst. Anlässlich seiner Pensionierung lädt das IBMM zum Minisymposium mit Gästen aus dem In- und Ausland. Endogenous cannabinoids (endocannabinoids) play an important role in the brain and immune system. Bern researchers from the National Centre of Competence in Research (NCCR) "TransCure" have now found a new way to influence the endocannabinoid system. Anti-inflammatory, analgesic as well as anxiolytic effects could be achieved in an animal model. Anlässlich des «UN Day of Women and Girls in Science» am 11. Februar lud der NCCR TransCure Mädchen im Alter von fünf bis zehn Jahren dazu ein, Laborluft zu schnuppern. Wissenschaftliche Experimente brachten die jungen Forscherinnen zum Staunen und Strahlen. We are pleased to announce the seamless transition in leadership of the IBMM directorate from Matthias A. Hediger to Hugues Abriel. The change in management has been planned for some time, as Matthias Hediger has served as director of the IBMM since 2005. In 2010 Matthias Hediger established the NCCR TransCure, an interdisciplinary research network of 19 research groups affiliated at Universities in Bern, Zurich, Lausanne and Basel. This network is now being led by Hugues Abriel. The appointment of Prof. Abriel as the Managing Director of the IBMM will warrant the future commitment of the institute toward the success of NCCR TransCure. Prof. Hediger will continue to be an active member of both the IBMM and NCCR TransCure until his retirement in 2019.
punktes (NFS) «TransCure» haben nun die Struktur des zentralen Proteins eines bakteriellen Säure-Resistenz-Systems entschlüsseln können. Dadurch werden wichtige Einblicke in die «Überlebenstricks» von Darmbakterien gewonnen. Synthetic biology is an emerging and rapidly evolving engineering discipline. Within the NCCR Molecular Systems Engineering, Bernese scientists have engineered a chemically switchable version of the light-driven proton pump proteorhodopsin – an essential tool for efficiently powering molecular factories and synthetic cells. On July 1, 2016 Prof. Christine Peinelt starts working as full Professor (Extraordinarius). Her research focuses on the molecular mechanisms of store-operated calcium channels (ORAIs/STIM) in non-excitable cells. She will greatly contribute to the research programs at NCCR TransCure and IBMM. Die Struktur von Membranproteinen hoch aufzulösen und in 3D darzustellen, ist für Strukturbiologen eine grosse Herausforderung. In Bern ist dies nun zum ersten Mal gelungen. Matthias A. Hediger forscht an Transportproteinen, um neue Therapieansätze gegen Krankheiten wie Krebs oder Diabetes zu entwickeln. Er erklärt im Interview das grosse Potenzial dieser Proteine und warum interdisziplinäre Forschungsnetzwerke so wichtig sind.